So, you’re ready to ramp up your email marketing program, but aren’t sure where to start? Whether you’re sending out a content offer, newsletter, or company announcement, here are a few key components to include in every e-mail you send. If you’re like us, your email inboxes are most likely flooded by 11 a.m. on weekdays. It’s important that people who open your email be able to immediately recognize whom the correspondence is from. Be sure that all your email templates have been designed to include your logo and brand colors. Due to ever-dwindling attention spans of today’s email recipients, it’s important that your email content clearly address the value of your offer. Use elements like statistics, bullet points and links to state your UVP and get that click. 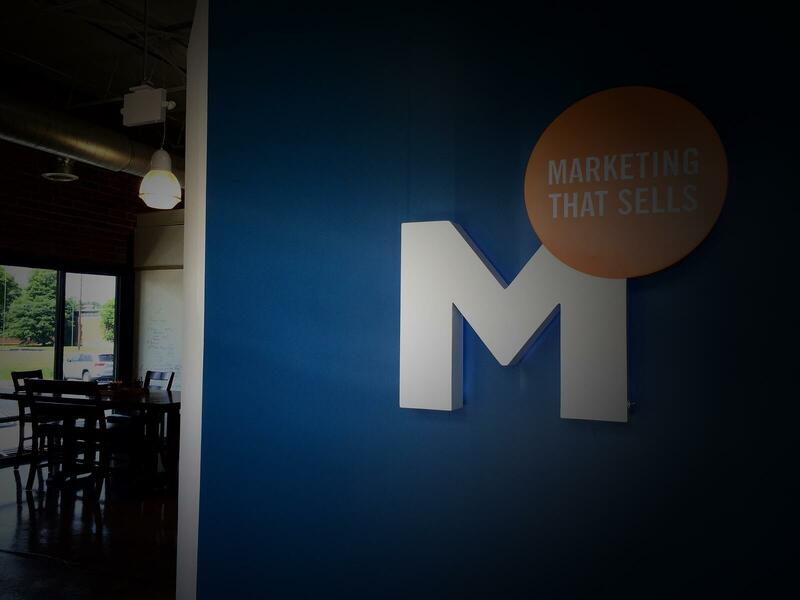 Attracting your prospects via a call-to-action is a critical element of permission-based marketing. 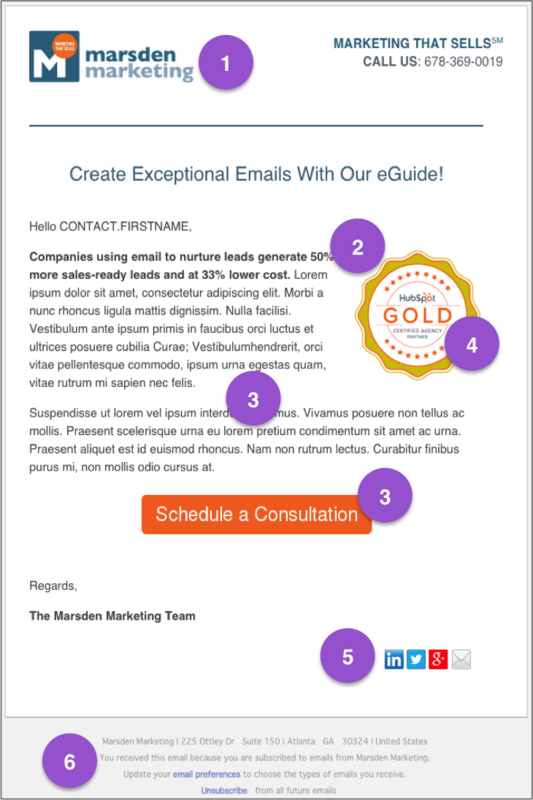 Every email should include a button, image, or link that supports whatever your conversion goal for the email is. 65% of people prefer emails with images rather than just text, according to HubSpot. Be sure to include attention-grabbing, powerful images that support your unique offer. Including social sharing links in your email will help extend your reach. Including these buttons makes it easy for recipients to share your offers with their own extended networks. In order to comply with CAN-SPAM regulations, your email footer should contain a clear “unsubscribe” link, and a link that allows recipients to update their email preferences. This is a must for all email senders, as not complying could results in significant damage to your sender credibility, and can also results in fees or litigation.